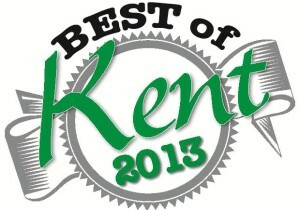 Marti Reeder of John L. Scott was named “Best Realtor” in the Kent Reporter’s 2013 “Best of Kent” contest. This is the fifth time Reeder has received the award, having previously won in 2008, 2009, 2010 and 2012. Nominees for the honor were selected by Kent Reporter readers in the newspaper’s annual contest. In addition to selecting their favorite realtor, readers chose their favorite Kent officials, volunteers, restaurants, shops and other businesses. The 2013 “Best Realtor” award comes on the heels of 2012 awards Reeder received for her work at John L. Scott in Kent-Covington, including awards for Top Sales Resale for the first and second quarters, Top Producer for the second quarter, Top Lister Resale for the third and fourth quarters, and Top Producer for the fourth quarter. She also received John L. Scott’s highest honor at year’s end, the President’s Elite Award, for the last four out of five years. As a lifelong resident of King County, Reeder helps individuals and families buy and sell homes throughout the greater Seattle area. In addition, the “Best of Kent” realtor focuses on educating consumers on the value of home ownership and ensuring that they understand changes in the real estate and mortgage industries and how they are personally impacted. As a lifelong resident of King County, Reeder is a full-time, full-service real estate broker, serving the Puget Sound region. She has a wide range of experience in mortgages, home inspections, construction and real estate. In 2012, Reeder helped almost 40 families buy or sell new homes. She is also a Certified Residential Specialist (CRS), Accredited Buyer’s Representative (ABR) and Accredited Seller’s Representative (ASR), and she specializes in staging & marketing her listings as well as helping buyers whether, first-time, downsizing or upsizing. In 2010 and 2011, she was awarded the Five Star Real Estate Professional Award from Seattle Magazine.